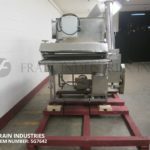 Nothum, Model FD-24, stainless steel, rotary barrel breader with number and pounds of product per hour – depending on materials and application. 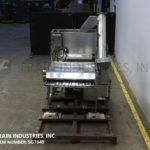 Equipped with a 26" wide x 45" long wire infeed belt with waterfall breadding applicator, 32" in diameter x 48" long tumbler, 26" wide x 64" long shaker discharge conveyor and 12" wide clump sifting conveyor. 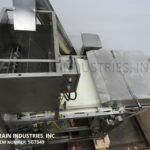 Complete with quick-connect hose for the supply-side hydraulic header and is setup to receive hydraulics from a plant power pac and distribute to various hydraulic motors. Mounted on stainless steel base frame. 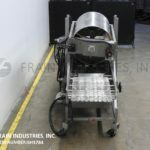 Nothum, Model FD-24, stainless steel, rotary barrel breader with number and pounds of product per hour – depending on materials and application. 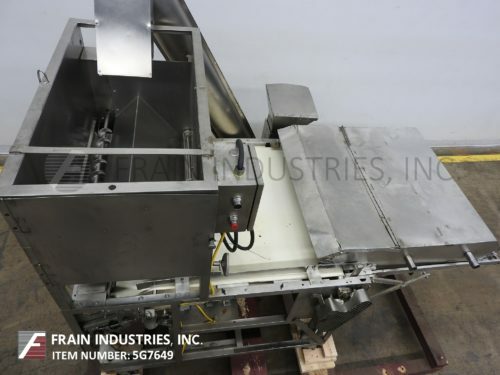 Equipped with a 26" wide x 45" long wire infeed belt with waterfall breadding applicator, 32" in diameter x 48" long tumbler, (2) 26" wide x 24" long flipping conveyors, 26" wide x 50" long shaker discharge conveyor and 12" wide clump sifting conveyor. 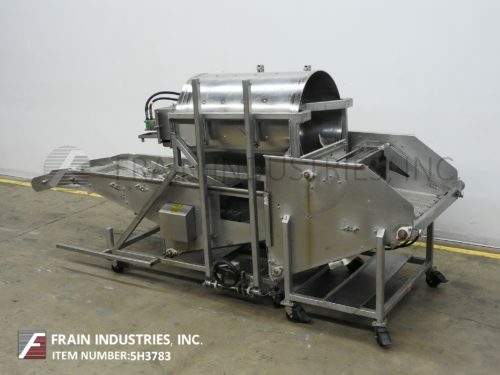 Complete with quick-connect hose for the supply-side hydraulic header and is setup to receive hydraulics from a plant power pac and distribute to various hydraulic motors. Mounted on stainless steel base frame.